Those who have visited our website in the last month or so have probably noticed the look and feel has changed a bit. Actually, videobyjamie.com has received a complete overhaul. While the previous site has served us well over the past 4 years or so, newer sites and more recent technology had made the site appear stale, if not outdated. The new site was completed right at the start of this year’s ‘season’ so the opportunity to share the exciting news has been minimal. So what does the new site offer? First and foremost, the site is mobile (or device) responsive which means it is able to recognize what device is being used to access the site and changes the layout to fit that device. No more of that ‘two-finger spread’ on your iPhone to see text or fields that were once too small. 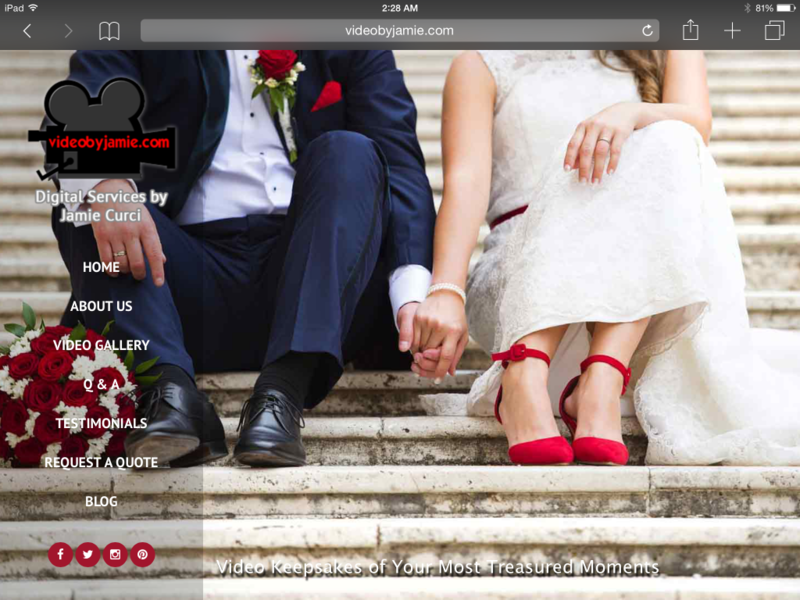 To become more consistent with the business, the look and feel of the site has gone 100% toward weddings. 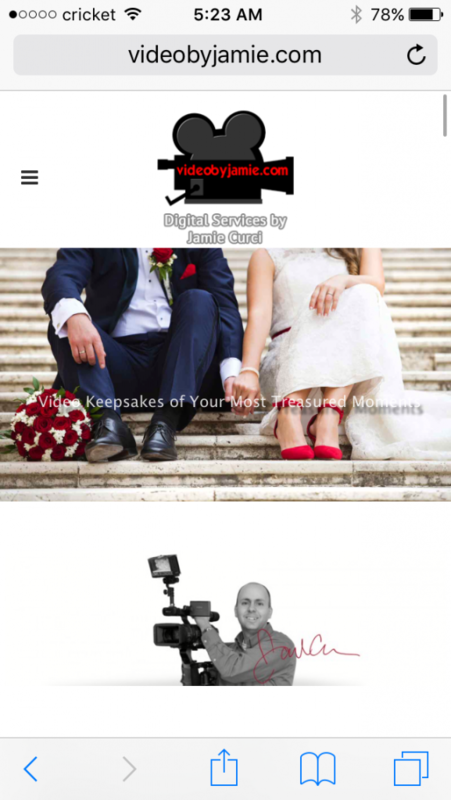 While we still film other events, our predominant focus has been on the wedding industry. The previous dark background has been replaced by a white background, allowing images and text to be much more pronounced than once before. The top navigation bar has been replaced by a side navigation bar so no matter how far you scroll, all the menu choices are available to you. The site has been simplified in that some content has been moved from secondary pages to the main pages while other pages and content have been removed completely. Blog entries are summarized by title rather than listed in their entirety which makes it easier to go back and find older entries. So take a test-drive. Let us know what you think. Are there other elements you’d like to see? We’d love to get your feedback!